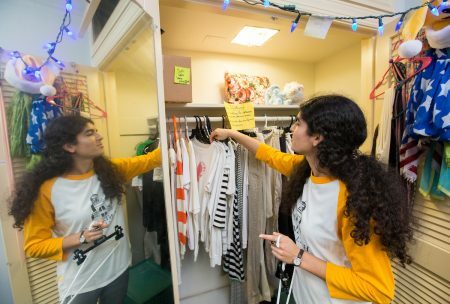 Marie Abowd ’19 organizes the clothing selection in the Rummage Room. 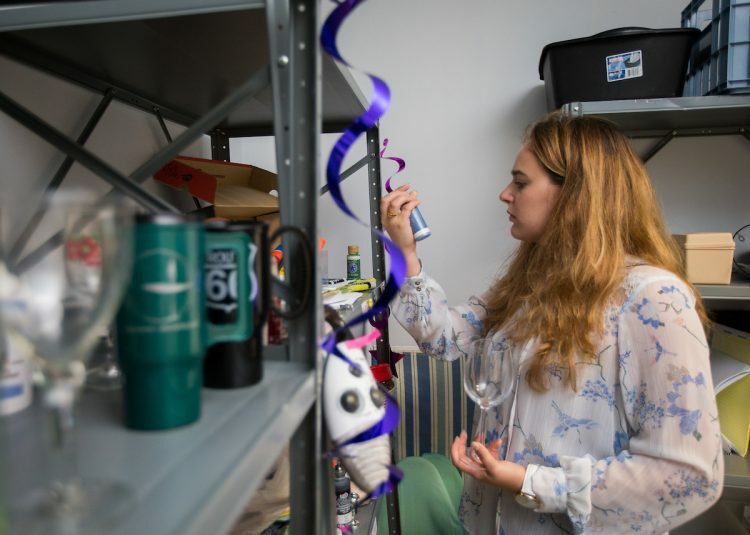 As a sustainability intern at Randolph her sophomore year, Marie Abowd ’19 was charged with finding new ways to reduce the College’s carbon footprint. 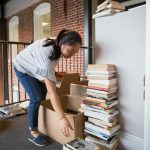 She was amazed to learn the College was paying to discard tons of waste when students moved out of residence halls at the end of each academic year. 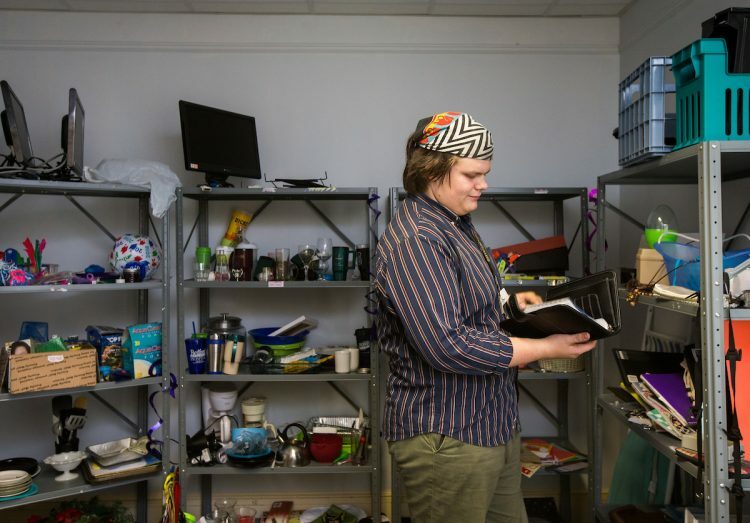 That’s when inspiration struck, and the following fall she helped create the Randolph Rummage Room. 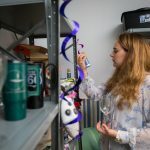 Located in Room 366 of Main Hall, the Rummage Room is a space where students can donate usable items, appliances, and furniture they no longer need when they move out at the end of the academic year. In turn, new and returning students can look through the selection and take the supplies, free of charge. Some of the hottest items on the market are crafting supplies, kitchen items, clothes hangers, vacuums, and box fans. 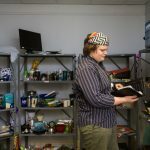 The Rummage Room has garnered attention from both the College community and beyond. In April, the PepsiCo Foundation awarded Randolph a $3,480 grant from the 2017-18 PepsiCo Recycling Zero Impact Fund to help purchase supplies, like storage and collection bins, and to pay student workers to operate the Rummage Room during more convenient hours. Additionally, the grant provided a scale to weigh how much waste is saved from going to landfill. As of September, the Rummage Room had diverted almost 2,013 pounds worth of items. While most donations are placed in the Rummage Room, other items, such as clothing, blankets, and towels, are donated to organizations that can use them like Goodwill and the Lynchburg Humane Society. 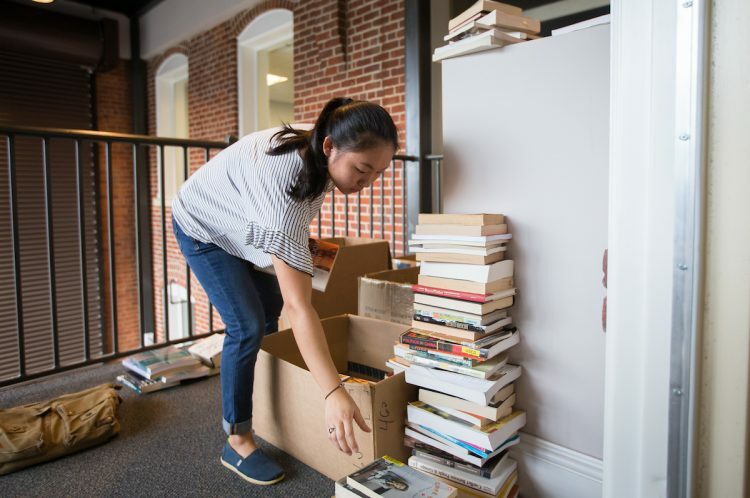 Textbooks are also a popular commodity, and organizers have created a free textbook library in West Hall. Abowd is proud to see how far her project has progressed and believes it provides a much-needed service to students.